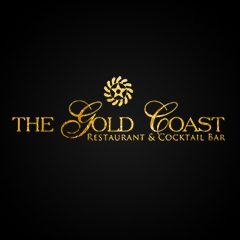 Gold Coast Restaurant and Cocktail Bar is one of the best restaurants in Accra. It is a great hideout with an extremely nice environment. They offer a stimulating atmosphere with lots of nostalgic pieces on their walls. However, they currently have only one branch in Ghana. Gold Coast Restaurant, Accra is found in Airport Residential Area on the Nyaho Clinic road. Gold Coast Restaurant and Cocktail Bar, Airport serves various cuisines. They serve excellent quality, freshly cooked meals, grills and pizza. They are defined as a main stream casual dining restaurant with an integrated cocktail bar. The area provides friendly, attentive service in a relaxed environment by staff and owners that truly enjoy their job. Over the years their menu has evolved to reflect today’s consumer’s taste. From a casual Ghanaian dinner hotspot in London, to their current menu of over 50+ items in Accra including their famous chicken wings, lamb nyama choma, tilapia & yam balls, premium quality steak, a great selection of entree salads and more than 5 vegetarian dishes. Customers are also privileged to enjoy daily buffets and tasty entrees from Gold Coast Restaurant. In addition, they are located in Airport Residential Area which gives it a cosy feeling, making you experience Ghana’s quiet atmosphere at its best. They serve lunch, dinner, coffee and a variety of drinks. Gold Coast Restaurant is known for the delicious meals they prepare and the good life band music they offer to their customers. They also offer one of the best customer services and adhere to strict health and sanitation principles as well Moreover, Gold Coast Restaurant and Cocktail Bar joined Pizarea in 2016. Being on Pizarea allows customers with busy schedules who love Gold Coast Restaurant so much to order their food online and have it delivered to them. The food delivery is fast, safe, convenient and reliable. Whether at home or in the office, your delicious Gold Coast Restaurant meal can always be delivered to you. Their food prices are relatively affordable and the food portions are greatly satisfying. Apart from this amazing delivery service, Gold Coast Restaurant caters for kids providing them with a kids menu, splendid waiter services, outdoor eating or seating, and take out. A huge parking space is available for all customers who choose to dine with them. They also have reservation services available that enabling their customers to book a place ahead of time, especially on special days when the place gets fully packed. So, to dine in one of the best Restaurants in Accra, The Gold Coast Restaurant & Cocktail Bar, Accra is the ultimate venue to eat, drink, party and entertain with an Afro twist, whatever the occasion. Browse their menu and enjoy your meal!